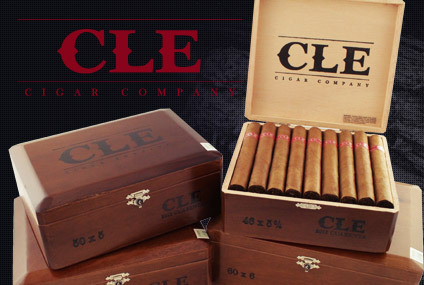 Beginning August 2013, we will start to buy back our reusable cigar boxes from our retailers. This is consistent with our BAYER Better Manufacturing Practices and Better Growing Practices initiatives to lower our impact on the environment. Our farms are already under these guidelines and the Aladino Factory is currently going through the certification process. This process assures you and your customers that all cigars have been made with tobacco that had zero impact on the environment and that the cigars have all been made under the same strict hygiene standards of food companies like Hershey’s and Heinz. Our next step is to focus on the cigar boxes. As you can imagine, cigar boxes are one of the biggest offenders to our forests and, although we use woods that are friendlier and from controlled forests, the impact is undeniable. We are asking for your assistance to reduce our impact by 50%. Therefore, we are asking that you sell your boxes back to us for $1.00 per box. We also ask that you not ship us back any less than 20 reusable boxes each time. Reusable boxes can be defined as any box that is whole and it may just need to be repainted. In order to return the boxes, please contact your sales representative and they will get a call tag for you from our office. Once the boxes are received and inspected immediately, the box credit will be applied to your account. Thank you very much for your cooperation and help us make our industry friendlier and less scrutinized. Second, I’m interested to see the reaction that Fabricas Unidas gets from retailers who’s help they will need to make this happen, especially considering one dollar per box (credit towards their wholesale account) isn’t a ton considering the work necessary. Still, it has the potential to bring down the price of boxes (which can add quite a bit). The savings can then be passed on to both retailers and ultimately consumers. I know that some manufacturers let retailers buy, basically, bundles to restock existing boxes, which frankly seems like a lot more eco-friendly system than packing up and sending empty boxes back to the factory. As a consumer, I know I end up with far more boxes than I know what to do with, though I have an artist friend who uses some of them. I also wonder about the impact of cardboard boxes vs. Spanish cedar. Padron has had a box buy back program for quite a while now. We donate to local schools, however the work to do this would be minimal. If in fact a label is issued for return shipping, UPS/FedEx drops by several times a week.